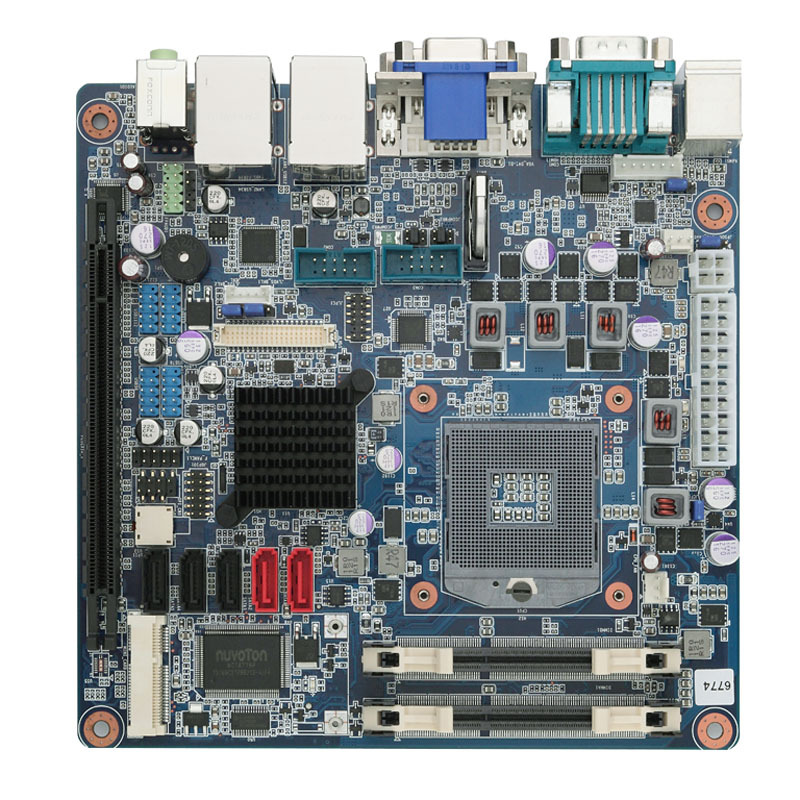 Axiomteks MANO870 Mini ITX motherboard based on the Mobil Intel QM77 Express chipset is designed for the new 3rd Generation Socket G2 Intel Core i7/i5/i3 processors. The high performing MANO870 comes with two DDR3 1600/1333 MHz SO-DIMM slots with up to 16GB memory and five SATA ports with RAID 0, 1, 5,10. The Intel HD 4000/2500 graphics engine with DX11 support is built into the chipset to provide fast graphics performance and dual-view capability. 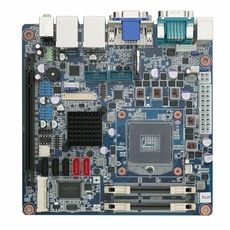 The supported display interfaces include DVI-D, VGA, LVDS and HDMI. It also supports Intel Rapid Storage Technology, Active Management Technology 8.0 as well as Trusted Platform Module 1.2. One PCIe 3.0 x16 is ready for a separate graphics card and one PCI Express Mini Card is for WiFi and 3G wireless communication modules. Having a small footprint of only 170 mm x 170 mm and powerful performance enables system developers to design extremely high-end applications, such as storage server, POS, kiosk, medical, gaming, digital signage, and surveillance security monitoring.